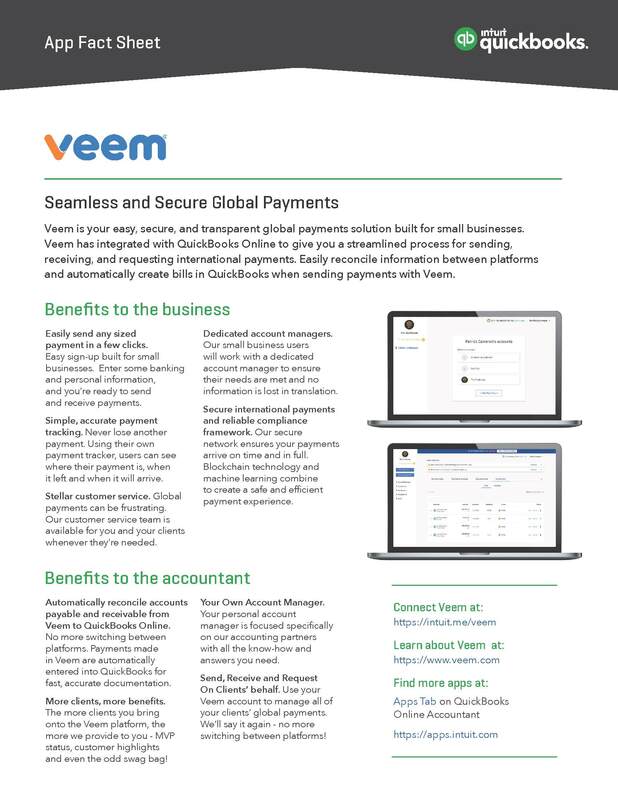 Veem is your easy, secure and transparent global payments solution built for small businesses. Veem has integrated with QuickBooks® Online to give you a streamlined process for sending, receiving and requesting international payments. Easily reconcile information between platforms and automatically create bills in QuickBooks when sending payments with Veem. Download a PDF version of the fact sheet for review and to share with your clients. Editor’s note: Check out this Veem Case Study and Veem Checklist.